Dachshund Life Jacket and high-performance dog flotation device for boating, water sport adventures and other water activities with your wiener dog. Bright color makes for easy visibility. Life vest preserver design allows for fast size adjustments and a flexible, comfortable fit for your Dachshund. New Orange-tone was introduced in 2016 (see 2nd photo). This life jacket has an easy to grab handle on top of the life vest for emergency situations. Please measure your Dachshund's Girth prior to ordering for an accurate fit. How to Measure your Dachshund for a life jacket (see below for instructions). *** NOTE *** When measuring your wiener dog, make sure to use a cloth tape (or piece of string) and take the measurement so it's snug, but not too tight. 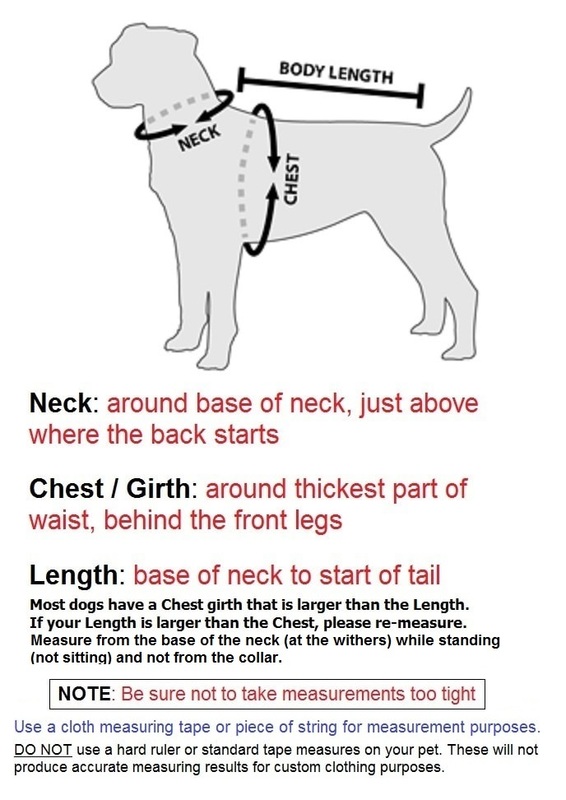 If measurements are made too tight around the dog, it will result in a jacket that doesn't fit. If your Dachshund is close to the maximum measurements of a particular size, we recommend purchasing the next size up. Love this life vest, only wish the fabric covering the belly was mesh. When out on the boat it is very hot and wish the material was cooling. Slightly small, so I ordered a larger size. We'll see how it fits when it gets here on Tuesday. A Lifejacket that actually fits a Dachshund! Love the handle, too!